Cosmetic dental contouring, also called tooth reshaping, is both a conservative and inexpensive approach to improving the esthetic appearance of your smile. 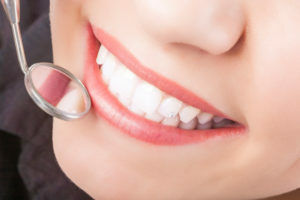 If there is a minor imperfection or spot on your tooth that has bothered you, or if you’ve accidentally chipped a small portion of your tooth off, sometimes a minimally-invasive filling or smoothing of the tooth is all that is required to restore your tooth to your ideal smile. Some people have anomalies in tooth development, which causes a rough pattern to form on the enamel (outer layer) of their teeth. Many times, these rough teeth can be smoothed out or the grooves can be filled with tooth-colored fillings. If tooth structure is suggested to be removed to achieve the esthetic desire, typically up to only a millimeter of enamel removal is all that is required. Minimally invasive, typically requiring very little amount of tooth structure to be removed. Relatively inexpensive, especially when compared to dental crowns and veneers. These other options would be likely be recommended if amount of cosmetic change needed is more extensive than tooth reshaping. No anesthetic is needed in most cases, since minimal surface enamel is all that is being removed. Can possibly improve how teeth come together and increase the longevity of your teeth. Reduces risk of decay if plaque-accumulating overlaps and imperfections are removed during the tooth reshaping. In short, cosmetic dental contouring is for the patient who just needs minor adjustments to a tooth or teeth. In some cases, dental contouring can even be the first step towards more involved cosmetic dental procedures (such as veneers, crowns, and crown lengthening). These types of procedures can be done on those same teeth, even years after dental contouring is performed. So, if you are dissatisfied with the look or shape of your teeth, or if you have chipped off part of your teeth, ask Dr. Street if cosmetic dental contouring can be done to fix them!